Singapore, 28 September 2010. Hotels can and should do their part in contributing to the environment in which they operate. A stellar example of upholding community spirit and environmental responsibility is Victoria chain of hotels and resorts in Vietnam and Cambodia. Cleaning up the great Mekong River. This year, six properties of Victoria Hotels & Resorts scheduled their annual Green Day on September 11th. Tourist destinations were cleaned up around the properties in Vietnam and Cambodia to increase environmental awareness and shape greener mindsets. Hotel staff, local authorities, communities and in-house hotel guests got into the act. At Victoria Chau Doc Hotel, the event gathered 70 hotel staff, 25 pupils from Thu Khoa Huan secondary school, 5 journalists and 11 local volunteers. The team organized a clean up of Sam Mountain, a popular hiking destination. In Can Tho, the 120 volunteers split up onto 25 boats to clean the floating garbage along the Hau river from Victoria Can Tho Resort’s jetty, including the river side of Ninh Kieu quay, Xom Chai ferry and Cai Khe market. Almost two tons of garbage were collected! In Phan Thiet, about 300 participants, including staff from Victoria Phan Thiet Resort & Spa and 100 pupils from local schools worked together with local authorities of Phú Hai ward to pick up almost 300 kg of rubbish along the street's pavement and the beach. Mountain kids at Sapa double up as clean-up brigade. In the central coast, 250 employees from Victoria Hoi An Resort & Spa and 30 from Hoi An Eco-tour company combed the beach for garbage as well as along the Thu Bon river and surrounding area. They collected over 10 cubic metres of garbage. Up north in the mountains, clean ups were organized in 10 places around Sapa town such as Sapa Lake, the stadium, Ta Phin village, Ta Van village, Lao Chai village and Trung Chai. Over 700 people took part in the operation, including Sapa inhabitants, 570 pupils and teachers from 10 local schools, and staff from the Victoria Sapa Resort & Spa. In Siem Reap, Cambodia, Victoria Angkor Resort and Spa, cleaned the area surrounding the central park and the embankment alongside the Siem Reap River. The event involved approximately 100 primary and secondary school children and about 150 staff members, working in cooperation with the Ministry of the Environment. 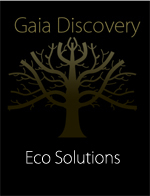 Read related articles on Gaia Discovery. Interview with General Manager Eric Simard. Previous Victoria Green Day event. Victoria Hotels & Resorts is a boutique group of six luxury Indochina retreats embracing off–the-beaten-track mountain and beach spa resorts in Vietnam, two colonial-style hotels in the Mekong Delta, and an elegant spa resort at Angkor Wat in Cambodia. With a passion for Indochina’s rich cultural and historical diversity, enchanting landscapes and delightful people, the group’s resorts and hotels are uniquely distinguished for their charm and locations in the most authentic and unspoiled areas of Vietnam and Cambodia. The group operates a luxury Victoria Express Train from Hanoi to the Victoria Sapa Resort & Spa in the remote northwest highlands of Vietnam. In the Mekong Delta, guests explore one of the world’s great inland waterways and travel from Chau Doc to Phnom Penh aboard Victoria Speedboats and a converted rice barge. Victoria Hotels & Resorts does not follow the crowds of mass modern-day tourism – it forges a path ahead of them. In the remote north-west highlands of Vietnam, Victoria Sapa Resort & Spa is a traditional mountain chalet, complete with stone-hearth fireplace and luxurious new spa 1,650 metres above sea-level in the Hoang Lien Mountains, close to the Chinese border. Amid spectacular scenery beneath Vietnam's highest peak, the 3,143-metre Mount Fansipan, the cool, pristine region is home to more than 30 colourful hill tribes – with tours to their minority villages and markets the highlights of any visit. The region is also emerging as an exciting new trekking destination. Guests arrive aboard the romantic and elegant Victoria Express Train, a unique travel experience in its own right, operating along a 380km railway journey from Hanoi. Overlooking the mountain village of Sapa, blending sensitively with the unspoiled environment, Victoria Sapa Resort & Spa was voted ‘Best Hotel in the North-West Region’ in both 2004 and 2005and was awarded for its “Harmony with Nature” in 2008 by The Guide, a publication of the Vietnam Economic Times. On a pristine white-sand beach on the outskirts of the UNESCO World Heritage Site of Hoi An in central Vietnam, Victoria Hoi An Beach Resort & Spa is a warm, restful retreat replicating a traditional fishing village with small streets, water ponds and village houses with clay-tiled roofs. The historic sea port of Hoi An is uniquely preserved as a 15th century trading post on the ancient silk route, while other UNESCO World Heritage Sites in the vicinity include the Cham temple ruins at My Son, the historic capital of Vietnam’s ancient Champa civilization, and the former Imperial capital of Hue. At one of Vietnam’s most idyllic seaside resorts, 200km north of Ho Chi Minh City, Victoria Phan Thiet Beach Resort & Spa is located beside a vast, palm-fringed private white sand beach on the South China Sea, with 60 bungalows designed in the style of traditional Vietnamese country houses in exotic gardens. The Guide, a publication of the Vietnam Economic Times, voted it ‘Best Resort’ in its southern province. On the banks of one of the world’s greatest and most mysterious waters in Vietnam’s ‘Deep South’, Victoria Can Tho Resort opened in 1998 as the flagship of Victoria Hotels & Resorts in the Mekong Delta -- and first luxury hotel in the region. Amid bustling floating markets, myriad of canals and vibrant green rice paddies, the splendid colonial-style hotel is set in magnificent gardens on the banks of the Hau River, one of the delta’s nine estuaries. To experience the pulse of delta life, sunrise and sunset cruises to the local floating market aboard the resort’s private traditional wooden rice barge, the Lady Hau, are a highlight. Deeper in the Mekong Delta, close to the Cambodian border in a region famed for the climax of Francis Ford Coppola’s Apocalypse Now, the Victoria Chau Doc Hotel is a grand hotel built in colonial style with low-rise French architecture opened in 1999. From this unique location beside the Bassac River at the ‘Three River Crossing’, guests can explore life deep into the delta traveling aboard a fleet of private Victoria Speedboats from the hotel to Phnom Penh in Cambodia and vice versa. The resort was awarded in 2008 for its “Ingenious use of plants to make a green statement” by The Guide, a publication of Vietnam Economic Times. The newest jewel in the crown of the group, Victoria Angkor Resort & Spa is just 10 minutes from the World Heritage Angkor Wat temple complex, one of the great wonders of the world. Neighbouring the King’s Residence in Siem Reap, overlooking the Royal Gardens, the resort styled gracefully in 1930s colonial style is a tranquil haven with the elegant refinement of the French ”art de vivre”. It is within walking distance of the Old Market and river, 7kms from the airport, and has a partnership arrangement with a Nick Faldo-designed championship golf course, recently opened nearby.